We are pleased to share the digital projection that was shown at the African Burial Ground during the month of December and early January. 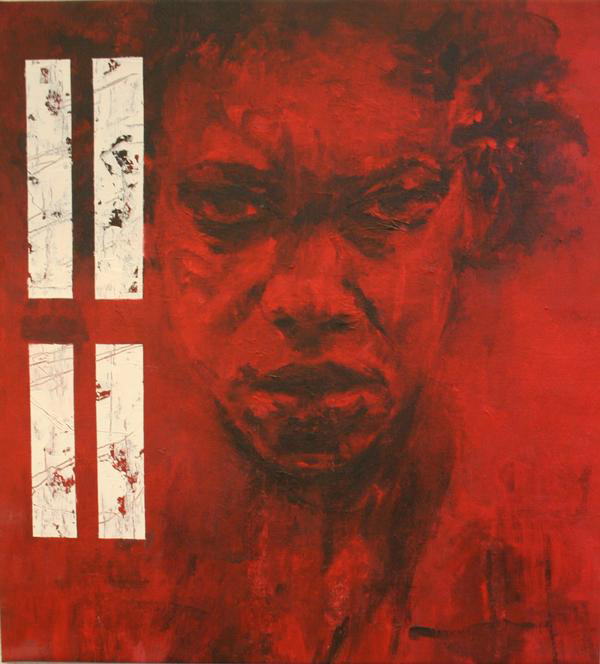 The artist, Patrick Singh created these works while he was in New York, France and Burkina Faso. The West Harlem Art Fund is so pleased to be working with Patrick Singh again. This Skyped interview was done while the artist was in the South of France with his gallerist. His bio is below in English and French. Born to an Indian father and a French mother, Patrick was predestined to multicultural encounters. He spent his childhood traveling between the South of France and London, England. He is a holder of a State Diploma in Managing Leisure and Cultural Activities – French “Diplome d’Etat Relatif aux Fonctions d’Animation”. Since 1997, Singh’s career has been punctuated by international exhibitions – collective and individual – along with artistic residencies throughout Europe, South America and Asia. Singh’s work is exhibited in multiple collections, including the Anne Cros Gallery located in the South of France. His visions come to life under his brush without his using models. Né à un père indien et à une mère française, Patrick a été prédestiné aux rencontres multiculturelles. Il a passé son enfance voyageant entre le Sud de la France et Londres, Angleterre. Il est un détenteur d’un Diplôme d’État dans le Loisir se Débrouillant et les Activités Culturelles – le français “Diplome d’Etat Relatif aux Fonctions d’Animation”. Depuis 1997, la carrière de Singh a été ponctuée par les expositions internationales – collectif et individuel – avec les résidences artistiques partout dans l’Europe, l’Amérique du Sud et l’Asie. Le travail de Singh est exposé dans les collections multiples, en incluant la Galerie d’Anne Cros trouvée au Sud de la France. Ses visions reprennent conscience sous sa brosse avec de ses modèles d’utilisation.